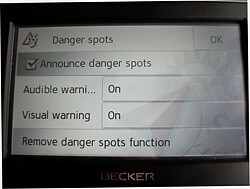 ▷ Becker Traffic Assist Z 089 update. Speedcam for your maps. Download update. Free custom download. 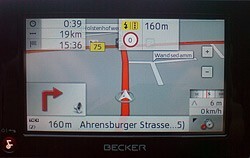 In order to update your GPS device: Becker Traffic Assist Z 089 with the latest update, follow next instructions. 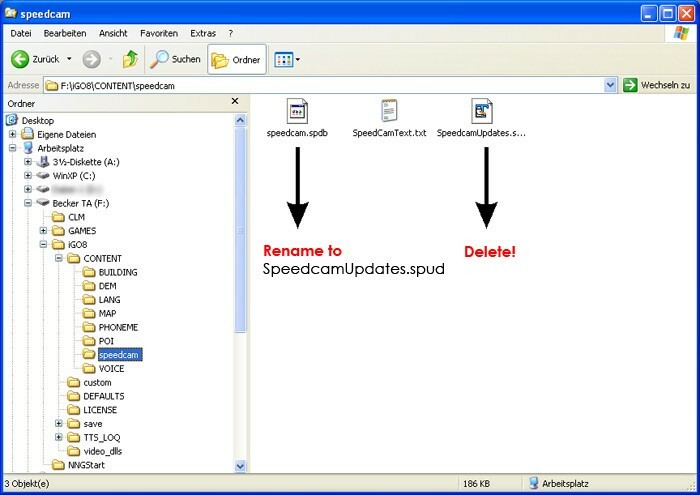 First of all, be sure you got the update file for your Becker Traffic Assist Z 089 device, downloaded from SpeedcamUpdates.com. Connect your Becker Traffic Assist Z 089 device using an USB cable to your PC. Once your PC has detected your GPS device as an external storage drive open the folder "./iGO8/CONTENT/speedcam". Copy in this folder the files extracted from the zip file before. Once the files have been copied into your Becker Traffic Assist Z 089 device, unplug USB cable and then reboot the Becker Traffic Assist Z 089 device. Unplug your Becker Traffic Assist Z 089 device from your PC. Reboot your Becker Traffic Assist Z 089 device. Now, go outside to get GPS coverage. Check that a new menu has been created. Go to "Settings/Navigation settings/Danger spot" or "Settings/Navigation settings/speedcam". Double check that every option is adjusted to your preferences.